Dave quit his job to be a full time pro in 1984, and has made his living from performing magic since. During that time, he was resident magician at F.R.E.E.P.S. for close to 10 years. He performed for Kodak as the “Kodak Wizard” for nearly 10 years. Most importantly, he has a solid client base that continues to book him again and again, some spanning almost 30 years! Some magicians would call Dave the "Magician's Magician", but it would probably be more correct to call him "The Magician's Magician's Magician". He is the "go-to" guy for many of Australia's leading magical entertainers when they need a pro's perspective. Dave has consulted for them on all aspects of the magical arts, from close-up magic to grand illusion and everything in between. He has inspired and mentored a lot of top names in Australia and overseas. Have you ever wondered how the pro's create and become known for their “Signature Pieces”? Dave's lecture will help you take almost any trick and develop it into a real reputation maker. "When it comes to big gigs like the Indy Ball, and Stars of Illusion, it's good to know I have one of the best brains in magic working with me. Implement Dave's ideas and you might just elevate your magic to the next level too! Trust me! " 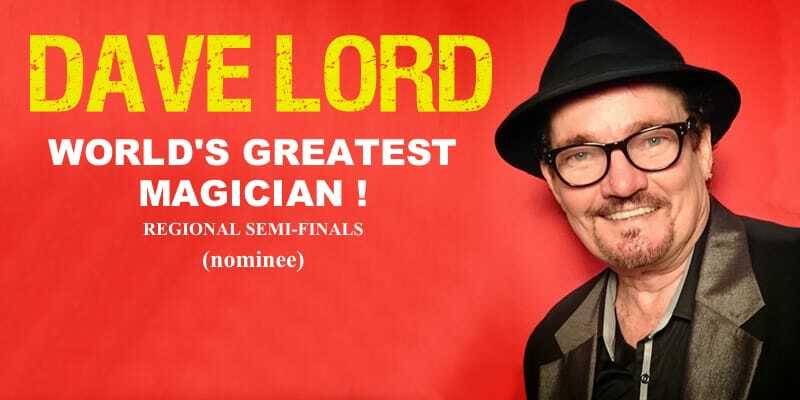 "Dave Lord has managed to cram an entire lifetime of magical knowledge into just over half a lifetime. Imagine the possibilities if he lives even a few more years? Don't miss out! Catch Dave Lord's lecture and drink from the font before it dries up. " "Dave is the guy I ring when I want to brainstorm, or when I'm looking for that elusive missing piece to make a routine complete. " "What if I didn't get to meet Dave Lord at Brisbane when I was doing my first Australian tour? Meeting with Dave is the turning point of my life, I have decided to become a magician after meeting him." Hosted by The Magic Circle of Victoria.